Make your hands prepared. Wash your hands with soap water thoroughly, paying special attention to your fingernails and underneath them. Make sure your nails are dry and clean before painting. 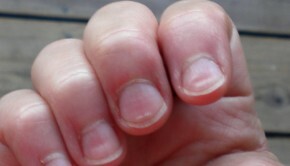 You can sweep some Nail Polish remover over your nails to clean any natural oils on nails. This can help keep the color smooth and last longer. Take off old polish if you have any. Then, cut and file your fingernails before painting. Prepare the things you need. Select a nail polish with a color you really like. Gather nail polish remover, newspaper, clear nail polish, some cotton balls, and an orange wood stick. Do your painting in a well-ventilated room and don’t inhale the fume. Rub the bottle. Use your hands to roll the bottle to warm the nail polish. Keep rolling for 25-30 seconds. This will keeps bubbles out of the polish and make your nails smooth. Polish the nails. Apply one coat of clear nail polish first. Let it dry thoroughly and then paint a stripe of color in the middle of your thumb. Then, paint from the left to the right. Re-dip the brush every time you start a nail to keep the color evenly distributed. Wait 10-20 minute to let it dry thoroughly. You can apply another coat of color depending on the shade you want. Paint last coat. Paint a top coat of clear polish to protect what you have painted. It can also keep the color lasting and add shine. Let it dry completely before you do something else. Add sticker. Add a sticker on nails gently. 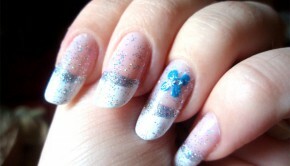 You’ll get fabulous effect if you try to sprinkle some sugar on after applying another base coat. The sugar will turn into little crystals and leaves a shimmering finish. If there is any polish on your finger, wipe it by a cotton swab. Dip it into nail polish remover and wipe around the edges. 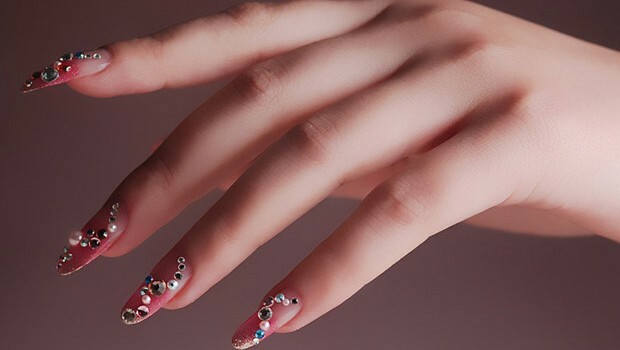 Then, you’ve finished with beautiful nails. 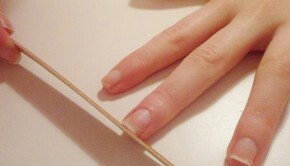 Before painting, you can put Vaseline around your nail which will make nail polish wipe away easily. Store your nail polish in fridge to preserve its color. Avoid using cheap dark-colored polish without a base coat. Don’t choose polish brands which are highly toxic. 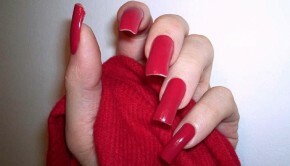 Put the nail polish in very warm water can keep the polish even while you painting your nails. Remember to close the polish.